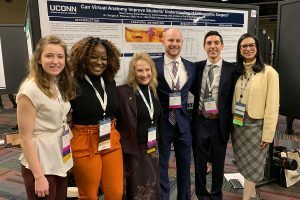 UConn dental students and faculty are back from the annual session of the American Dental Education Association in Chicago. The meeting was run by Dr. R. Lamont “Monty” MacNeil, professor of craniofacial sciences, division of general dentistry, and immediate past dean of the UConn School of Dental Medicine, as he concluded his one-year term as chair of the ADEA’s board of directors. One such thing was a recognition of the president and CEO of the ADEA, Dr. Richard Valachovic. A 1977 graduate of the UConn School of Dental Medicine, Valachovic is retiring from the ADEA after 22 years of service. 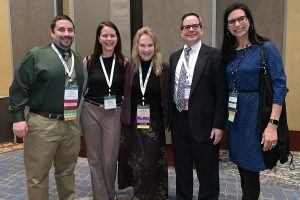 One of the plenary sessions was dedicated to celebrating his contributions to dental education, in the form of a festschrift, an academic tradition to honor a respected academic. 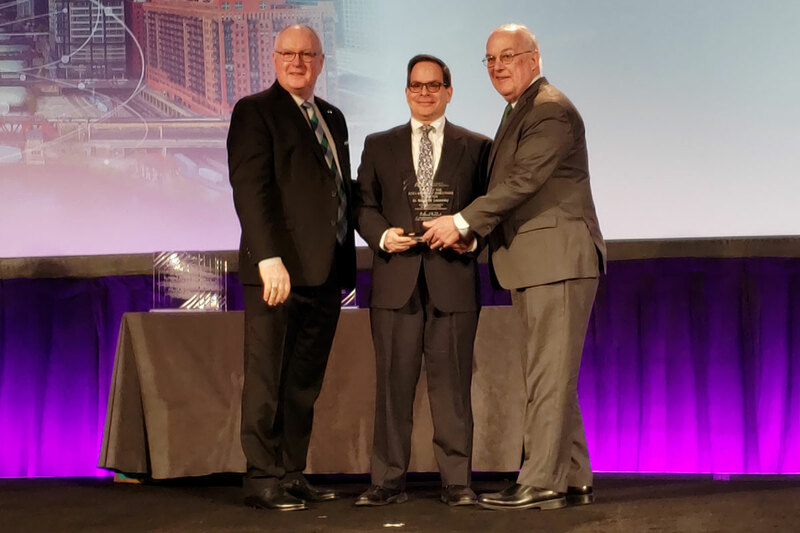 Dr. Steven Lepowsky, senior associate dean for education and patient care, was among those honored with a Chair of the ADEA Board of Directors Citation. 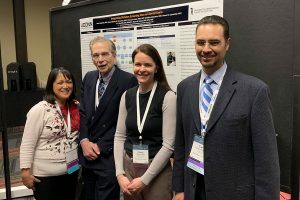 One of the poster presentations – about diabetes screening as part of the dental exam – was a collaboration between UConn dental faculty, UConn clinical research associate Helena Hilario, and faculty from the University of Maryland Dental School. Some of the sessions were for students only. The UConn dental students who attended were Ross Camiel, Rob Morrin, Chiddi Okafor (all third-years), and first-year student Kathryn Forth. 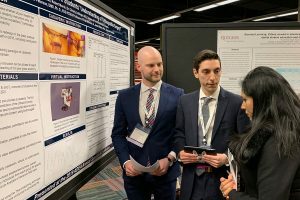 Camiel and Morrin presented a poster on how virtual anatomy might help students better understand corrective jaw surgery.